Seniors who have unique medical requirements can receive the care they need at the inpatient Acute Care for the Elderly (ACE) unit at McAllen Medical Center. The nurses and staff who work in the ACE unit provide care using standards established by a national geriatric program called NICHE (Nurses Improving Care for Health system Elders). The NICHE program designates ways in which care for older adults can be improved in specific units. Key elements of an ACE unit are environmental changes to accommodate the needs of older patients. Staff members receive special training in geriatrics and an interdisciplinary team focuses on addressing health issues in older patients. Standards of healthcare that are specific to the aging patient that will help prevent or limit issues such as fall-related injuries, pressure ulcers, delirium, sleep deprivation and inadequate pain management. Interdisciplinary rounds three times per week, including members of the following disciplines: nursing, case management, pharmacy, physical therapy, dietetics and attending physicians. Daily rounds completed before 5 p.m. by attending physicians. ACE clinical protocols: Safety measures include non-slip footwear, bed alarms to alert staff and private rooms within close proximity to the nurses station to help prevent potential falls or injuries to the patient. Progressive mobility: Patients are assessed and, when appropriate, plans of care are developed to enhance patient mobility. Geriatric safety protocols for fall prevention and early mobility. Patients are screened on admission to the unit for the risk of falling and are screened by nurses on every shift until they are released from the unit. Early mobility helps prevent functional decline and is clinically proven to help patients gain strength and help the staff to continually assess the patients' needs. Daily 10 a.m. family plan of care update: Family members and the patient can have a consistent schedule to know the progress and care plan for the day. If the family cannot be there, the schedule can be adjusted so that everybody is informed and updated. There is a centralized admitting process for ACE unit patients. Patients are admitted either through a physician referral or by patient request if they meet the criteria and are approved by the NICHE coordinator. Patients in the hospital can be admitted to the ACE unit as well. Call 956-632-4672 or 956-632-4580 to schedule a tour. Tours are provided Monday through Friday, between 8 a.m. and 4 p.m.
McAllen Medical Center is owned and operated by a subsidiary of Universal Health Services, Inc. (UHS), a King of Prussia, PA-based company, that is one of the largest healthcare management companies in the nation. The information on this website is provided as general health guidelines and may not be applicable to your particular health condition. 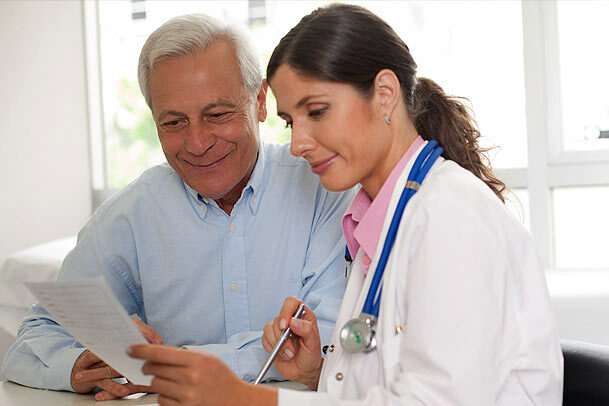 Your individual health status and any required medical treatments can only be properly addressed by a professional healthcare provider of your choice. Remember: There is no adequate substitution for a personal consultation with your physician. Neither McAllen Medical Center, or any of their affiliates, nor any contributors shall have any liability for the content or any errors or omissions in the information provided by this website. © 2019 McAllen Medical Center. All rights reserved.